The yuletide holiday season is upon us once again. For most people, this means checking that annual Christmas list and shopping for gifts. In the Asia-Pacific region, arguably the best place to shop for those Christmas gifts, and then some, is Guam. And to make things easier for holiday shoppers venturing to Guam, Cebu Pacific has a special promo for all passengers travelling to and from the US territory. Starting this September up until December 15, 2017, all passengers flying between Manila and Guam who pre-purchase baggage allowance of 40 kilograms will get an additional 25 kilograms, free-of-charge. That's a total of 65 kilograms of check-in baggage—equivalent to the weight of a 'balikbayan box.' The free baggage allowance will be added upon check-in at the airport. "Guam offers one of the very best shopping experiences in the Asia-Pacific region, with its combination of luxury brands, American heritage labels and deeply-discounted outlet shops. We are excited to offer passengers travelling to and from Guam the free top-up of a maximum 25 kilograms on their 40 kilogram baggage allowance, to make room for the great deals they will find. There's less reason to worry about excess baggage, and more reason to complete the holiday shopping," said Candice Iyog, Vice President for Marketing and Distribution at Cebu Pacific. Guam is set to hold the Shop Guam Festival (SGF) this November, one of the biggest shopping events in the Pacific region. SGF showcases Guam's tax-free shopping while offering incentives and other activities from the myriad of retail establishments on the island. "We are pleased to once again partner with Cebu Pacific to offer visitors even more reason to come to Guam. The hospitality of our Chamorro people in welcoming visitors with their warm smiles and Håfa Adai spirit, is one of our unique qualities," Vice President of the Guam Visitors Bureau, Tony Muña, Jr. said. "Not only does Guam have great sightseeing and beaches, we also have many of the world's best retailers amidst relaxing shopping enclaves and malls that are safe and family-friendly." 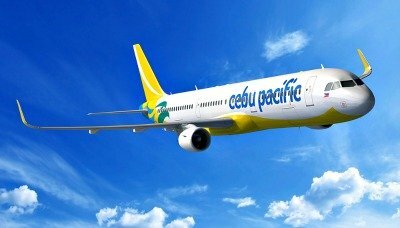 Cebu Pacific started flying between Manila and Guam in March 2016. 18 months after its launch, tourism arrivals to Guam has surged dramatically, with the Guam Visitors Bureau reporting a total of 144,758 tourist arrivals in August 2017 alone, bringing the total number of tourists to over 1 million from January to August this year. CEB currently flies up to three times weekly to and from Guam, offering seamless connections to a total of 37 domestic and 26 other international destinations across Asia, Australia, USA, and the Middle East. Cebu Pacific reaffirms its partnership with UN children's agency UNICEF through a learning visit with UNICEF Celebrity Advocate for Children Anne Curtis and CEB cabin crew. During a trip to Bobon, Northern Samar, Curtis and the Cebu Pacific crew witnessed how donations collected from generous passengers through the Change for Good initiative are being used to implement health and nutrition development projects in rural communities in Northern Samar, Zamboanga, and Maguindanao. Curtis and the CEB cabin crew joined UNICEF and local government staff in giving prenatal, immunization and nutrition services to mothers and children. Bobon is one of the areas in the Philippines with the highest rates of stunting—an irreversible condition that prevents children from growing, learning, and earning in the future. "Cebu Pacific reaffirms its commitment to our partnership with UNICEF and the Change for Good initiative. We thank our passengers for the continued generosity and to our cabin crew and personnel who ensure that this meaningful program runs smoothly on all of our flights out of our Manila, Cebu and Iloilo hubs. We hope we can continue to find ways to give back to the community, to our stakeholders and our customers," said Atty. JR Mantaring, CEB Vice President for Corporate Affairs. Collections for Change for Good on all CEB flights out of Manila, Iloilo and Cebu are used for UNICEF Philippines' "First 1,000 Days" campaign, which aims to provide optimal health and nutrition in the first 1,000 days of a Filipino child from conception to the child's second year of life. This period offers a golden window​​​ of opportunity to shape the long-term health, stability and prosperity of children and society. As of July 2017, donation​s from CEB passengers have helped prevent micronutrient deficiencies of around 41,000 children and 46,000 pregnant women in the Philippines. "I was so happy to see how the donations given inflight actually helped children and families in Bobon, Northern Samar. The next time you see a flight attendant bring the Change for Good bag down the aisle, don't hesitate to give your spare change. Any amount, no matter how big or small, goes a long way for children's health and nutrition,'' said Anne Curtis, UNICEF Celebrity Advocate for Children. Change for Good is a partnership between UNICEF and the international airline industry, designed to collect coins of various currencies from travelers and use these to pool funds for life-saving materials and programs. To date, Change for Good has reached millions of undernourished children in over 150 countries. Launched in the Philippines last year, Cebu Pacific is the first and only partner of UNICEF for this innovative initiative in the Philippines and Southeast Asia. Know more about the Change for Good campaign when you book a flight with Cebu Pacific through the website at www.cebupacificair.com.